Tax Bill Would Give Small Brewers A Big Break A cut in the Senate's version of the tax bill would save alcohol producers $4.2 billion. But it probably won't lower the cost of beer, says one brewer who wants to use the money to expand. For craft breweries, the Senate's tax code overhaul could be very good for business. The plan includes a provision that would save alcohol producers $4.2 billion from 2018 to 2019. Sen. Rob Portman, R-Ohio, pushed for the provisions in the Senate Finance Committee, which will help breweries of all sizes. "This legislation is only going to promote the expansion and the jobs that come with these entrepreneurial small businesses," he said. Bart Watson, chief economist for the Brewers Association, a trade group of more than 7,200 smaller brewers, agrees that tax cuts would help the industry. 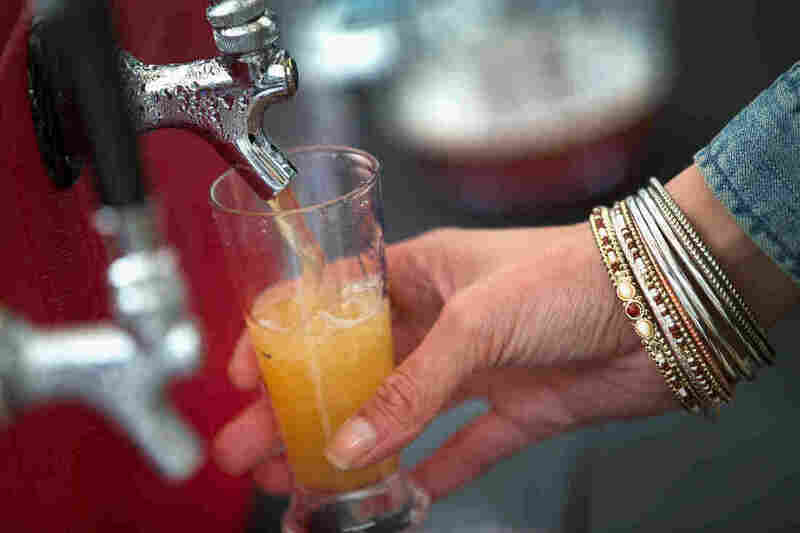 "We're hopeful that recalibration of the federal excise tax for small brewers would allow them more working capital to reinvest in their businesses and hopefully grow a little bit faster," he said. Bob Pease, the trade group's CEO, said the Portman amendment would keep the tax cut in place for just two years. But Pease added, "We believe that the job creation that comes from this bill will incentivize Congress to make [the tax cut] permanent." Watson notes that big brewers like Anheuser-Busch — which brews Budweiser, Rolling Rock and dozens of other beers — would get some tax relief too. "They would stand to get $12 million — which is a lot of money in absolute terms — but in percentage of their tax bill revenue, that's very, very small, " he said. Small or not, Anheuser-Busch hired 19 lobbying firms in addition to its in-house lobbyists to work on the company's tax issues this year. Maya MacGuineas, president of the Committee for a Responsible Federal Budget, says there's harm in special consideration to industries as a result of lobbying. "Maybe it's just because everyone's going to need a stiff drink after adding a trillion dollars to the national debt," she said, "but you want to know if [tax breaks] come from an economic reason — not from special interest lobbying, which unfortunately is more often the case when you see tax favoritism like this." MacGuineas adds that "temporary tax policies are a terrible way to do business." Nonpermanent tax cuts like this one, she said, take away certainty for business owners. Some small craft brewery owners say the potential cuts would make a world of a difference for their companies. 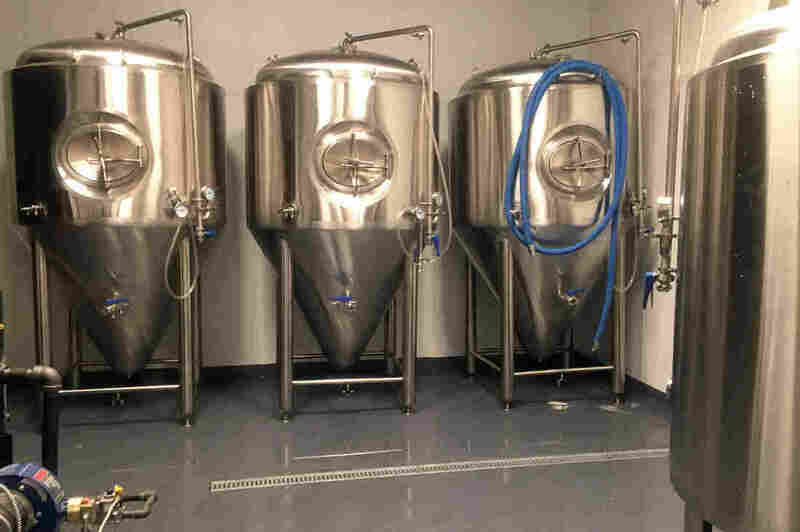 Equipment inside Kevin Sharpe's brewery, the Dark City Brewing Co., in Asbury Park, N.J.
Sharpe, the New Jersey business owner, says his brewery is "as small as they come," with five full-time and three part-time employees. They brewed 1,100 barrels in 2016. By comparison, Anheuser-Busch produced more than 100 million barrels last year. The Senate measure would slash the federal excise tax to $3.50 from $7 per barrel on the first 60,000 barrels for brewers that produce fewer than 2 million barrels a year. It also would reduce the federal excise tax from $18 to $16 per barrel on the first 6 million barrels for all other brewers. For small brewers, lower taxes would be a welcome change because competition is intense. A decade ago, about 1,500 small breweries were operating nationwide. Now, that number is approaching 6,000. "There's a lot of competition out there," Sharpe said. "Cutting our quarterly excise tax in half would give us this awesome amount of money lying around, so we could boost our quality control lab, buy more new, exciting hops, and hire more employees." For companies the size of Dark City, the tax break's savings would have a disproportionately big impact, according to the Brewers Association. "We think the vast majority of this benefit accrues to the smallest brewers in the country," Watson said. Does Sharpe think that this will lower the cost of his craft beer? "Unfortunately, no," he says. "It'll just make it easier for small breweries like us to stay in business."